Fresh, fragrant Balsam fir delivered right to your door? With Porter River Christmas Trees, it’s just that simple. Porter River, owned by John and Andrew MacIsaac, delivers top-quality Christmas trees to customers in central Alberta throughout the holiday season. 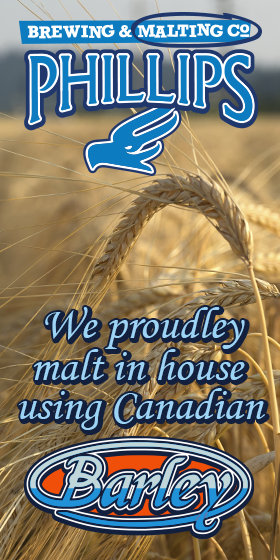 The trees are grown in a natural forest environment in eastern Nova Scotia and cared for over a period of 8 to 12 years. John MacIsaac believes this authentic approach is what makes real Christmas trees a cut above. Delivery is included in the cost of the tree, and they will even set it up for you. Check out their “extras,” including Balsam fir wreaths, garland and fir tips. Tip: Porter River offers a curbside pick-up and recycling service after the holiday season. Alternatively, you can take advantage of the city’s free Christmas Tree Recycling Program at one of their drop-off locations. Residents may also use their Green Bin for trunks less than 6” diameter. Feeling a bit more hands-on? Calgarians can find any number of pop-up lots selling Christmas trees in varying shapes, heights and prices. Many local big-box stores buy in bulk from Christmas tree farms in Canada and the US, offering quality conifers for a reasonable price. 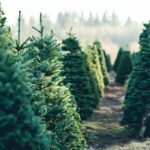 You can also find independent Christmas tree lots throughout the city, like Calgary Christmas Trees, which has two locations in the deep southeast. Owners Darren Aiken and Ben Alle ship hundreds of premium Balsam fir trees to Alberta from a family-owned and operated farm in Erinville, Nova Scotia. The Doyle family has been planting, growing and harvesting trees for more than 80 years, with retail buyers throughout Canada and the US. Aiken and Alle have operated their Calgary lot since 2010. 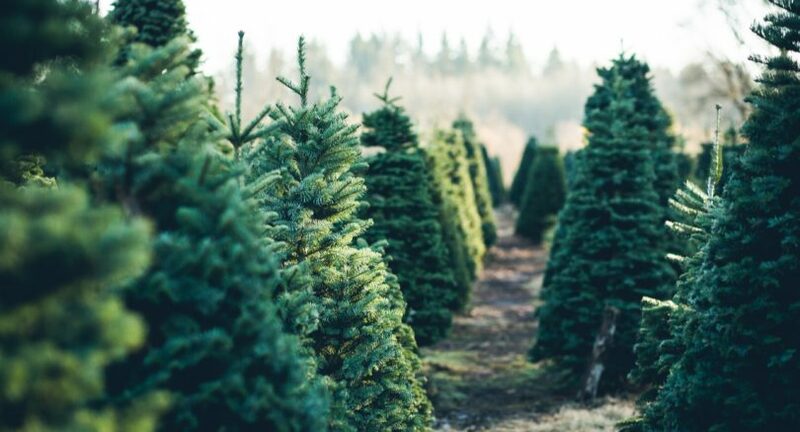 Tip: Ask your Christmas tree seller for a fresh cut upon purchase to help your tree stay straight and absorb water. Water your tree often for better needle retention. Or, venture west of the city where the Calgary Junior Forest Wardens operate a Christmas Tree cutting lot every weekend from late November until mid-December. Pick your own pine for a small fee with the help of the Junior Forest Wardens. For the truly outdoorsy type, grab your ax and answer nature’s call in an approved forest area. Just be sure to check the local weather before venturing into the woods! Tip: To cut your own tree, you will need to purchase a permit from Alberta Environment and Sustainable Resource Development. Want to sip sunshine in a glass this holiday season? We got the stories behind Ricardo’s Hideaway’s rum-based cocktail list.